Project Assistant is an integrated project management tool giving you visability and control over a number control systems such as Design Change Control, Tasks and Configuration Management. Read More Download Buy Now Find Out More Review All Feature of PA.
msgManager is an outlook add-in management tool designed to assign emails to a project register as back them up as ".msg" files. Packed with many time saving features, msgManager improves your productivity from by extending the functionality of MS outlook. Version Watcher, automatically monitors your files for change and then makes backups of the files while you are working. Create backup profiles and easily create zip files of your folders. Project Assistant Create,Track and Manage your projects and all issues to ensure on-time completion. 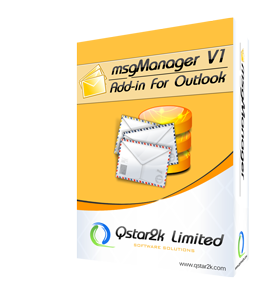 msgManager Add-in for Microsoft Outlook that injects an email reference number in to your emails. Version Watcher Automatically create version numbered backups of your text files. 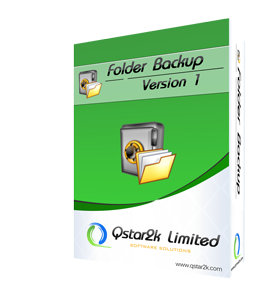 Folder Backup Easily Backup up your folders to to Zip using a pre-selected backup convention. Integrates Software Development, Change Control and Defect Tracking from the start of your lifecycle. Allows you and your team members to create, Assign, and track, project tasks. You can even assign your own defined status information. Provides your organization with standardised change management procedures and direct linking to project tasks. Project Assistant helps you to identify, notify, track and resolve project issues as quickly as possible. This visibility helps to bring any issues to a successful conclusion. Automatically assign project numbers to your emails as you send and then register the email in a project database to improve your quality control procedures. Project Assistant's CI Register will make controlling configuration items and their revisions a much more simple process, bringing status accounting to the forefront. Copyright © 2006-2017 Qstar2k Limited - All rights reserved. Microsoft Windows, Outlook and the .Net Framework are registered trademarks of the Microsoft Corporation.